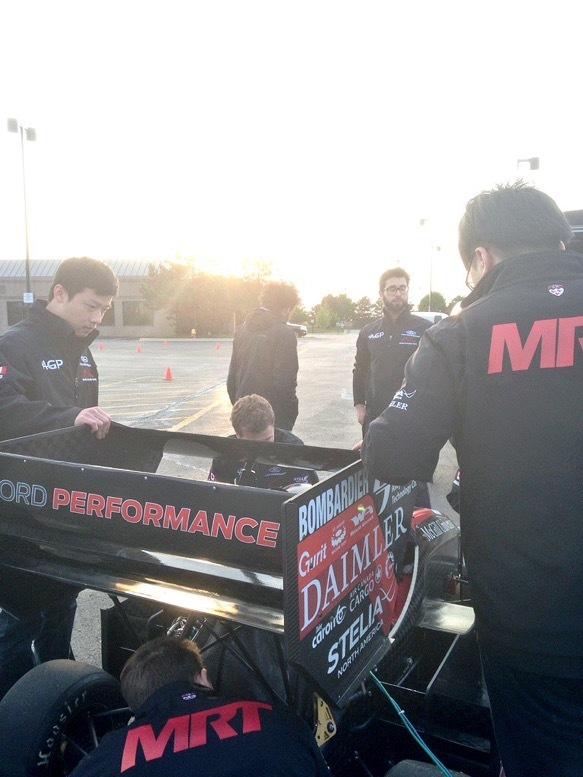 The team left bright and early for Michigan Monday morning to get in a bit of testing time and have time to spend a day with our industry adviser. We arrived late afternoon with the first destination being an empty track, where the team was able to unload the car after the journey and make sure systems were acting properly. 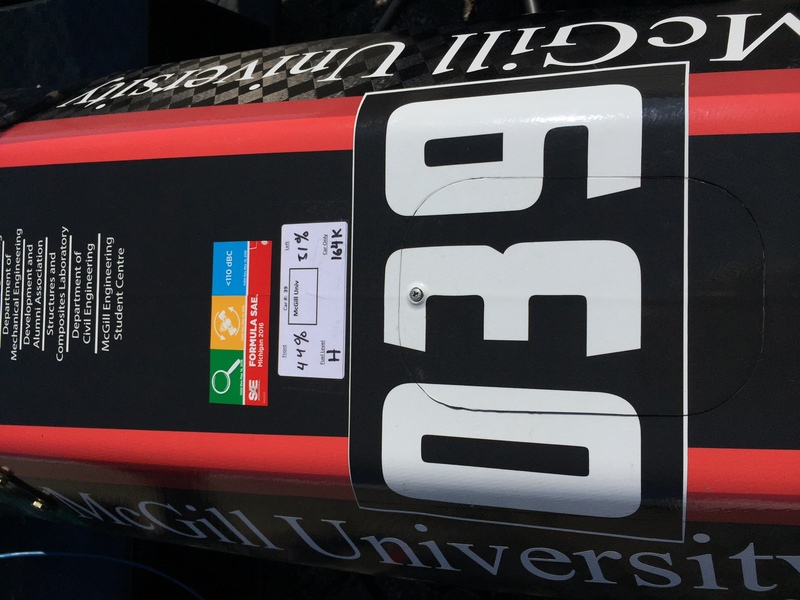 The issue that the team had been diagnosing for a few days was still occurring, so more troubleshooting was on the agenda, and the problem was finally narrowed down and found to be regarding the coils. An accidental short in the following inspection meant that the loom had to be taken out, inspected, and repaired over night. Tuesday we spent with our industry advisor, Shaun Day, touring around special locations and meeting extraordinary people. We ended the day in a similar manner as last season, at Watson Racing, where we were able to continue the rebuild of the car and crank it up. There were no visible issues. At the end of the evening, we packed it up and went outside for some noise testing, and (we thought) we were able to pass noise at both points! After coming home late at night post noise-testing, it was a bright and early morning to get the trailer into the paddocks. We set up, got into tech take-a-number line, and starting prepping for tech. 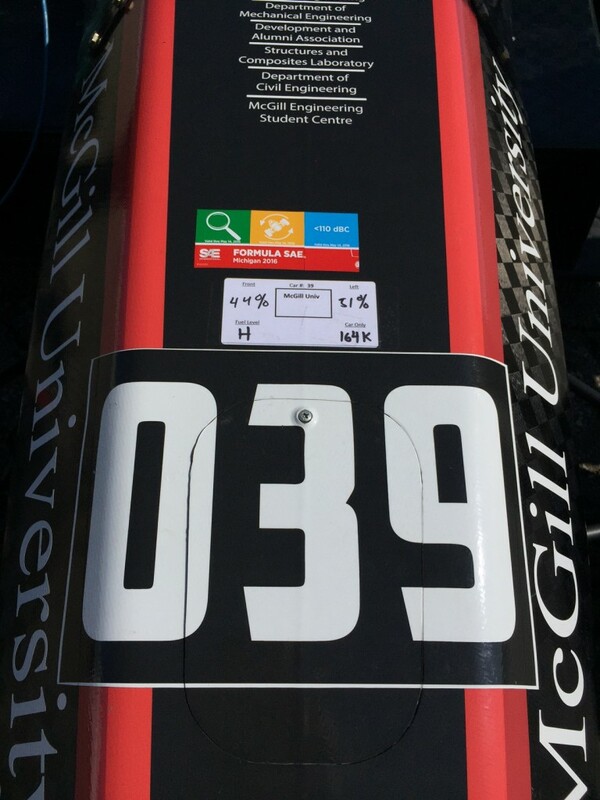 Our eventual number was pretty high, so we took the extra time to double and triple check the tech inspection sheet, and prepare for static events, including design at 8:30 Thursday morning. 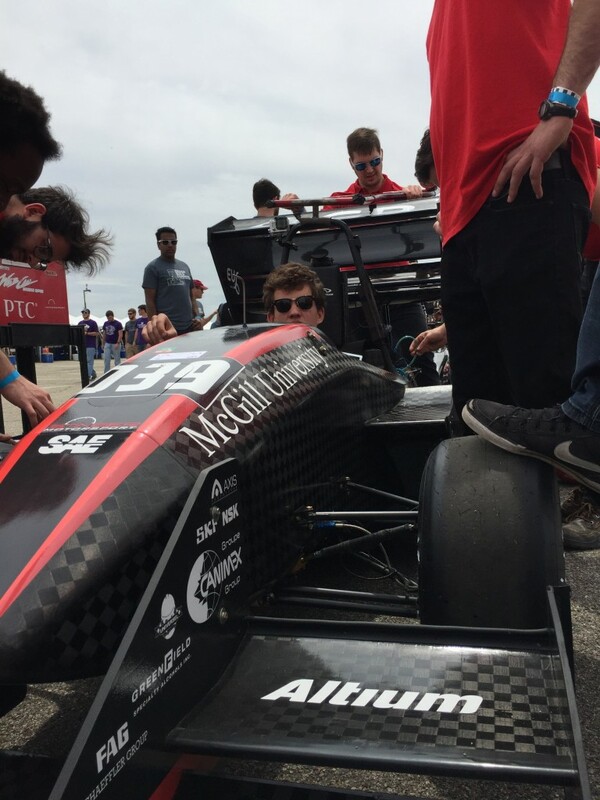 We were able to roll into tech inspection at around 5:30, and everything was going well. At the end of the session, we had passed on all but two things, one minor and one major. The major change involves welding reinforcement on the main hoop bracings, which happened late Wednesday night. Design was at 8:30, so we needed to weigh in. Our eventual weight with half a tank of fuel was 361 pounds, with 46% front and 51% left. We went straight to design from the scales, and from the comments in our design debrief, it seemed to have gone well. For our first time together doing design as a group, we were able to keep the judges more than busy in addition to adequately answering most of their questions. Unfortunately, we did not make design finals, but we congratulate those who did, especially our friends at Zips and ETS. After design, we didn’t have events that needed the car until cost at 4, so we got straight to work. We did our weld fix on the main hoop bracing in addition to addressing other minor tech changes. 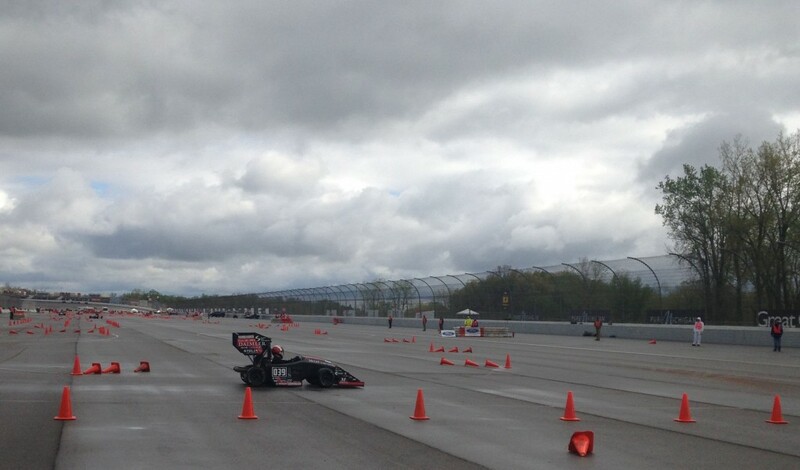 We got a new set of slicks, re-teched the car, and went through quickly. During this time Matt headed out to give the business presentation. Later on we went off to fuel and then tilt, passing in no problem. As we were attempting noise, we had a fuel incident that required some cleaning before returning. After getting to attempt noise the first time, we were found too loud at idle, which was confusing to us. We had to leave to go to cost, which did not take too long. Afterwards, we headed back to noise and warmed up the car. Unfortunately, thunderstorms started coming so they closed all of the events, and eventually closed site early. Friday we got to the track early, considering our busy schedule. 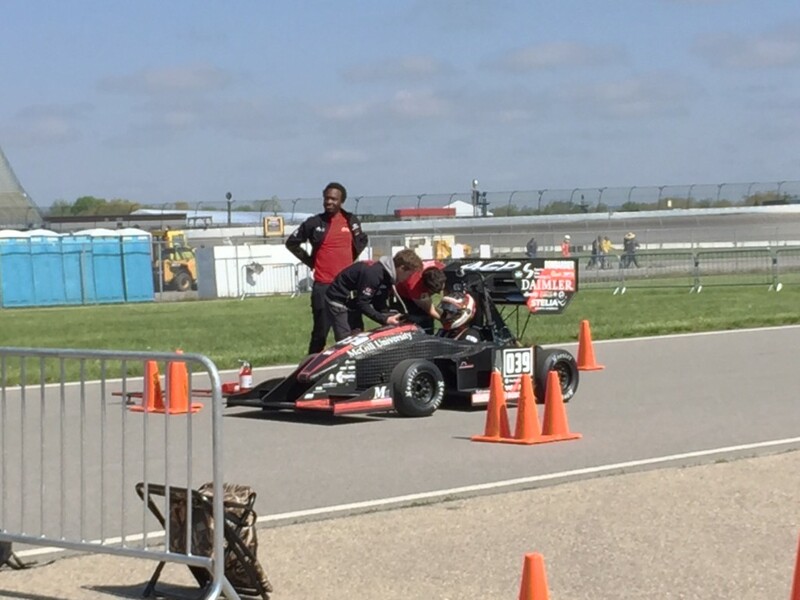 We need to pass noise, brakes, and run acceleration before lunch, and then pass to skidpad in autocross in the afternoon. We were able to roll over to noise by 8:30 after doing warming up the car in the paddock. We weren’t able to pass first time (106 at idle) and so we tried playing with the tune before failing again. We realized our sound meter was not working properly (we were reading 98 or so) so we borrowed from Zips while also making muffler changes. We passed on the next attempt and rushed towards brakes, which we passed on the third try no problem (the first try our engine stalled). 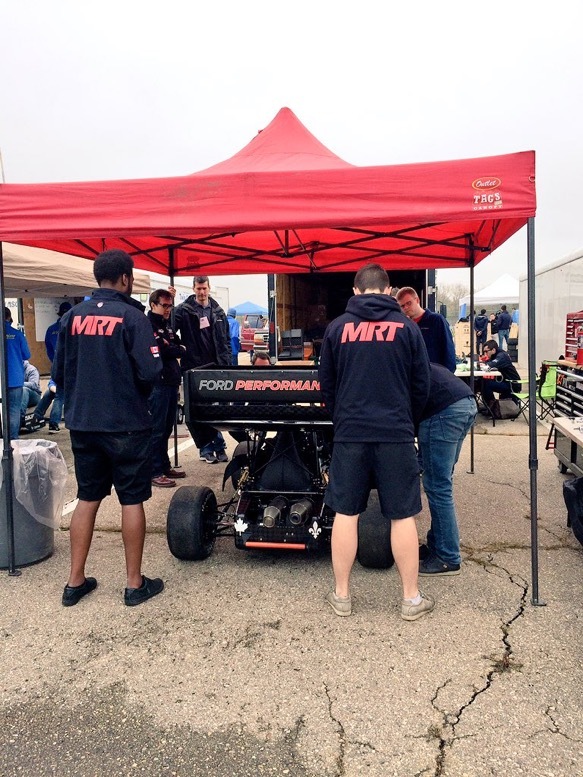 We headed over to accel, where we ran into a few electronic/shifting problems, which we were able to delay for accel. Wilson and Tim both clocked runs, with our best run at 4.678seconds. 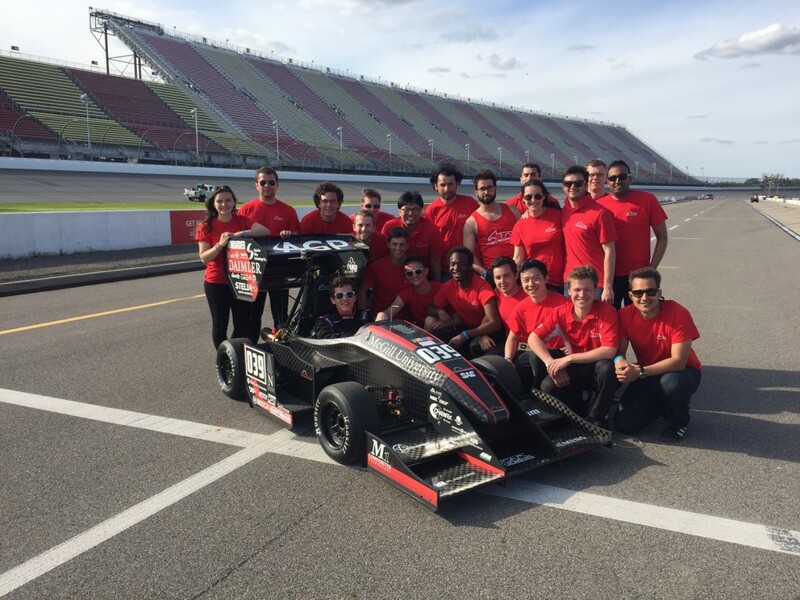 From accel, we headed to skidpad, where we had to wait for lunch break. 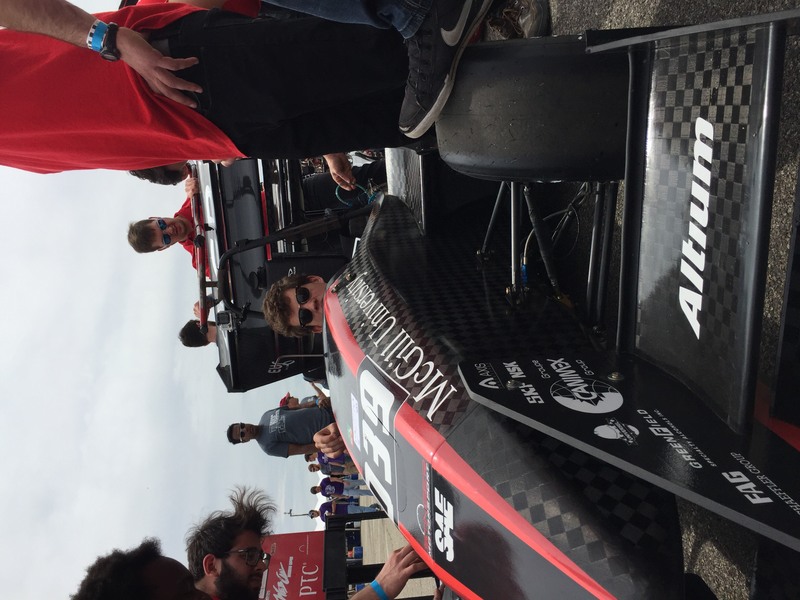 We took advantage to do a quick inspection, put the aero back in downforce mode, and get feedback from the design judges. Overall, they were impressed, but wanted a little bit more correlation of data, validation, and thought in verbal communication. 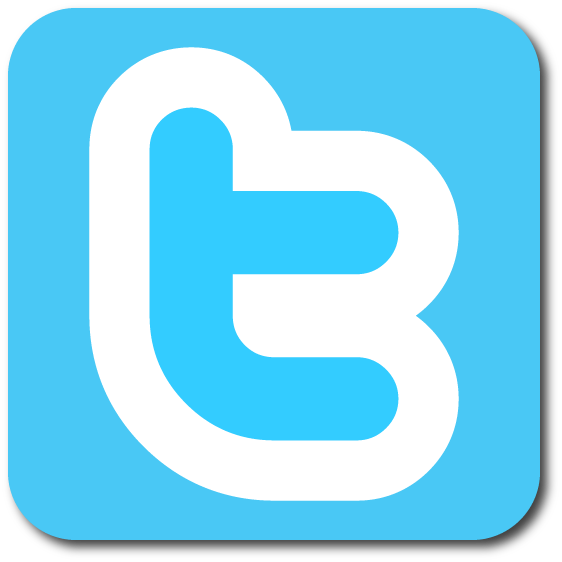 A good starting point! 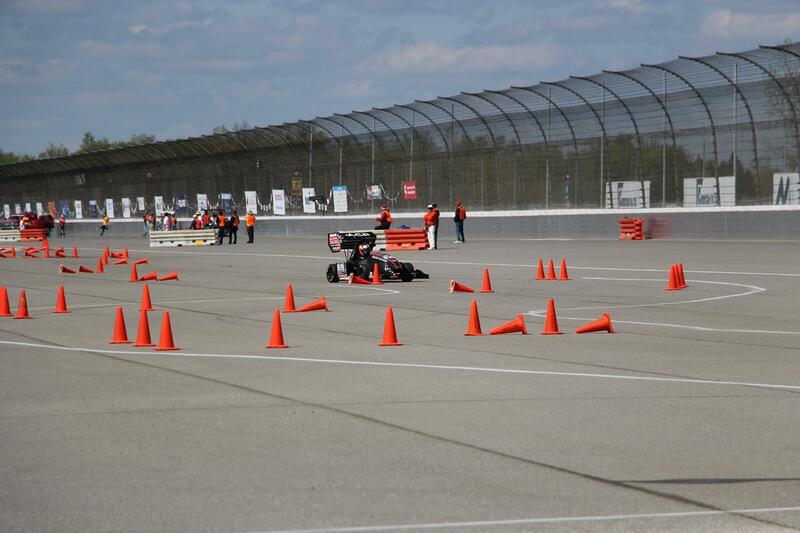 As skidpad opened, we were able to get two runs in with Tim before we had to head to autocross. Our electronics related to shifting finally broke, and we had to make a rapid surgery to that harness. We fixed it and Felix hopped in for his two autocross runs. He impressed, but got unlucky with an off course, and with Lucien not having time to run (despite staying a long time in line), so we were stuck with a relatively slow time. However, the car looks seriously fast and we are excited for tomorrow and the rest of the summer. Friday night we prepared for endurance, which we would be running in the morning, by inspecting the powertrain, permanently fixing the steering wheel, reinforcing a suspension connection, and other minor things. Saturday morning dawn grey and cold. We set out for the track to finish prepping the car as we were 20th in line to run. It started to drizzle so we ran with our wets. Lucien started out strong with a couple great laps. He headed back in for the driver change with no issues to be found. Felix jumped in and spent the next half of race passing other cars like a maniac. We ended up finishing endurance (and thus all 4 dynamic events) for the first time since 2013!!! The rest of the day was spent watching endurance, packing up and attending the award ceremony! 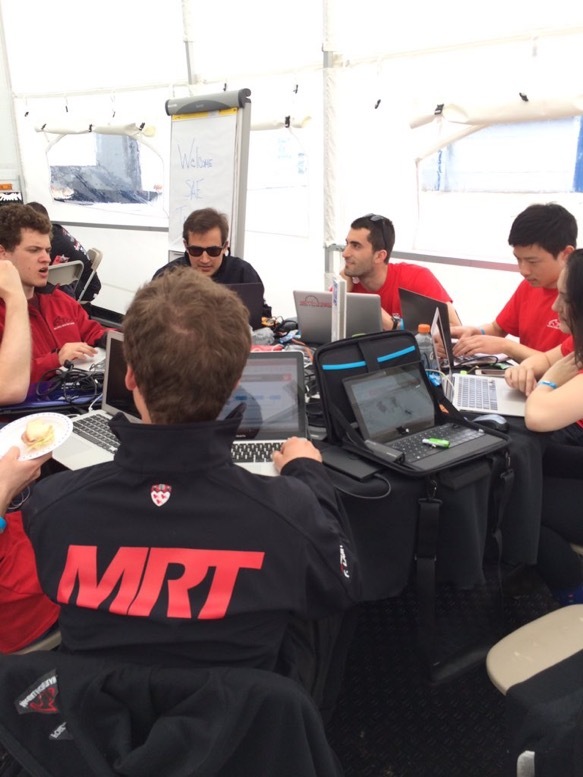 Thanks to everyone for your support – keep checking the twitter (@mcgillfsae) for live updates at comp! 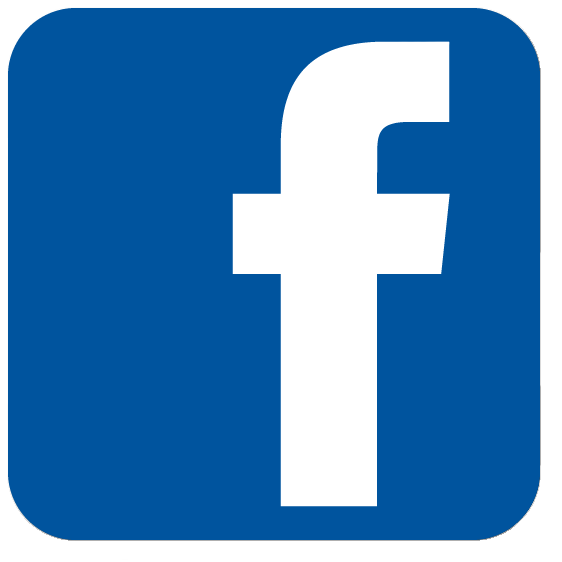 Published by Anna on May 16, 2016 at 4:00 pm under Events.